The Mini Scorpion is one of our most popular and one of our most versatile models. It is available in black and also red and blue for the fun theme. This gaming gun model is in the Special Compact (SC) class of weapon. It is great for either indoor or outdoors and, in particular, Close Quarter Battles (CQB). 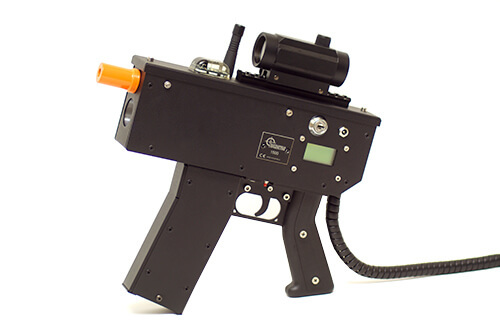 It has an optional fake orange protruding barrel so it is ideal for indoor laser tag arenas.